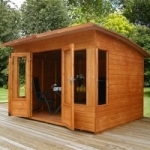 Our beautiful selection of Mercia summerhouses are designed with quality and workmanship as a prerequisite. 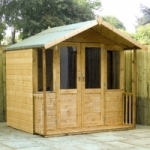 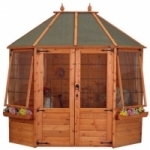 We stock several different types of summerhouse including: Modern Summerhouses; Corner Summerhouses; Traditional Summerhouses; Summerhouses with Sheds and Octagonal Summerhouses. 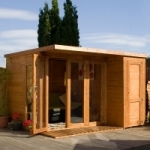 In an effort to make things even easier for you, we have teamed up with the Mercia to offer installation of your wooden summerhouse at home. 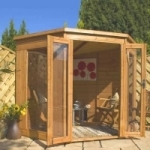 Each summerhouse attracts a different installation cost so please contact us to discuss your individual requirement.